December 8th, 2012 was our wedding date. How did we choose it? Weeeell, I originally dreamed of getting married in the fall; autumn leaves covering some distant rolling hills, cozy colors to surround the wedding theme, etc. However…between my fall travel season for work, and simply finding a date that wasn’t already taken by vendors, we thought “why not early December?” It was perfect. Just about any vendor is free in the winter months, and we knew that most of our guests wouldn’t be conflicted with Thanksgiving and Christmas travel plans as the 8th fell right in the middle. Recommendations – choose a date that’s right for you AND for the majority of your guests. Try not to compete with major holidays, or other friends’ weddings that season. Most importantly just ask yourselves – what date feels comfy for us, and for our favorite people? Just one month after Sean proposed in 2011, I said a second “YES!” … this time to “the dress” on a beautiful afternoon in Wayne, Pennsylvania on Christmas Eve day. My stunning sister Carolyn (who was also my matron of honor) and my beautiful momma Jane were gleefully by my side for this special decision. At the time, Mom and Dad were still in Pennsylvania in their last year before retirement, Carolyn and her precious children and husband were down in Columbia, South Carolina, and I was of course in D.C. That said, we rarely had a moment like this to be together, just the three of us again. Recommendations – fancy up your hair & make-up a bit before trying on wedding dresses. I curled my hair and dolled up my make up before we left. Trying on dresses is such a special experience…so treat it like one! Doll yourself up a bit to better picture how you’ll look and feel the day-of. You’ll look beautiful without make-up, I have no doubt about that. BUT taking time to look your best makes yourself shine in each dress! …that totally rhymed 😉 Also…try on designs that you think are beautiful, but aren’t what you’ve always imagined yourself in. You might find yourself in awe of a dress that is more “you” than you ever dreamed of. Spring, Summer, Winter, or Fall…it could rain…it could sleet…it could snow…it could do anything. Outdoor weddings are spectacular, and I love attending them. For my own little nerves, however, I really wanted to be inside to avoid the fear of a downpour on our guests…and maybe my dress too. I also grew up in churches with my father as my minister. It was home. The classic beauty of this chapel was everything I’ve ever hoped to marry Sean in. It also created a feeling for us all where we were free from outside distractions. It was only about our ceremony, about love, about God, and about the sanctity of marriage. Recommendations – even if you don’t choose a wedding venue that holds special meaning for either of you, choose one that celebrates you as a couple. A vineyard, an open field, a “newlie” found church that seems to just “fit” your love, etc. Make sure it’s truly you. 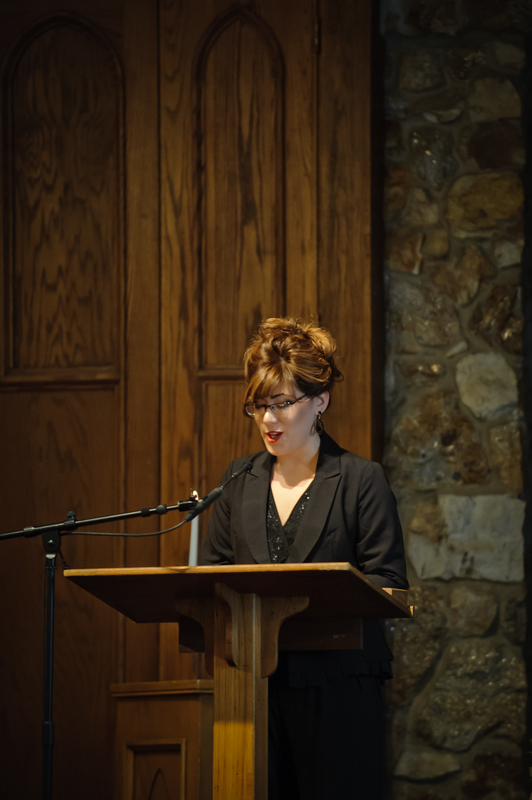 This is just me…but I’m a strong believer in putting the most effort into the ceremony. After all, it’s the ceremony that signifies your decision to be together for the rest of your lives. Cherish that venue! Recommendations – Search for the minister/officiant who will celebrate who you are as a couple, who “gets” you both, and who you would welcome guidance from. Those points also just so happens to cover what he/she will talk about in their homily for you: a celebration of your marriage, a moment to capture who you are, and an offering of guidance. This lady. Where do I even begin to explain her marvelous brilliance, her sensational spirit, and her heartfelt kindness. She’s truly amazing. Beth is an award winning author, nationally recognized for her numerous hit-selling novels. And yes, I’ve previously waltzed into Barnes & Noble before and stumbled upon my friend Beth’s best selling books just hangin out there on the shelves. No big deal…just my friend Beth…the writer taking the world by storm….did I mention we’re friends?! If you know Katherine Wilson—if you love her—you know what joy is. It is the color, I’ve decided, of winter sun, 4 PM, Saturday afternoon—more pink than gold, generous and fulgent. It’s homemade strawberry jam, lemon-rosemary chicken, the salad that doesn’t need a dressing because it’s been sensationalized with just a little tiny bit of garlic salt. Joy is a side of Parmesan risotto, a hot tray of zucchini chips, a glass of honey wine, a long drive or a weekend in, an evening by the fire, an oar dipped into a river at dawn. Joy radiates. It is contagious. And if you step even this close to Katherine Wilson, you’re already gone, done in. You’ve been joy-ified, and there will be no going back. As long as Katherine’s near, you’re smiling. The same thing happens, by the way, in Carolyn’s presence. I’m guessing red-haired, black-haired, light-haired genetics. Katherine’s joy is why we’re here today. Katherine’s joy and the most ridiculously lucky fact that there is someone in this world—just the right, rare someone—who wants Katherine to be happier than she already, innately is. Someone who makes Katherine happiest. It might not have happened. Life doesn’t always yield, doors don’t always open, but into Katherine’s world stepped this man who has the kind of huge wide heart that knows what treasure is. A man who wanted to keep Katherine safe. A man who wanted to build her a home. A man who wanted to photograph her against the rising and the setting sun. A man who lets Katherine know how beautiful she is, and look how beautiful she is, in the face of love. “I just like to sit and think about how lucky I am and about how much I love my life,” Katherine is known to write—on her blog, or on Facebook. “The biggest feeling Sean and I both have is that we are just so grateful for each other, grateful for our family and friends, and grateful to God for the friends and families that this marriage is bringing together,” Katherine wrote to me, a few weeks ago. Maybe gratitude isn’t always easy. But when it is found, when it is honored, when it is sustained, it makes everything so simple, and that’s the thing about Katherine and Sean’s love. It is uncomplicated. It is therefore good. Astonishing things happen in grace. Life is lived bigger through awe. Katherine alone is a wonder, of course, but Katherine with Sean is something approximating a miracle. They together remind us what love can be—how full of giving, how without limits, how holy, dear, and fulgent. Happy Wedding Day, dear Katherine and Sean. My dear Beth, I’m wiping away tears again as I read this…again, but I must say for the 73042th time, thank you. You blew us away. You captured and put into words for our special day just how and why we love each other so much. Your words are a gift to us forever. 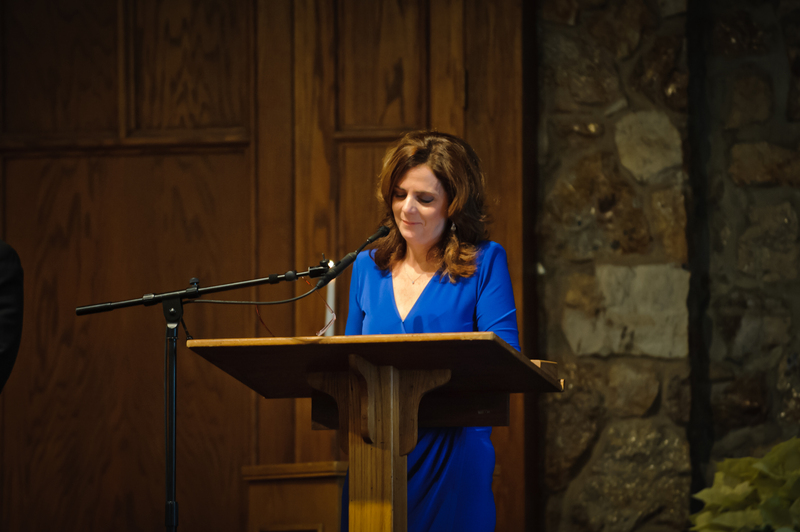 You can also view Beth’s blog post about her weekend in Asheville here, or you can visit and follow her blog: Beth Kephart Books. Recommendation– have readers. Even if it’s a short poem that has touched your heart in some way. It’s the most meaningful moment to incorporate a reader or two into your ceremony. It gives the celebration multiple voices and perspectives, offering even more joy to your wedding ceremony than ever imaginable. Mitch Fortune. Are you reading this? YOU ARE THE MAN! Mitch Fortune was our DJ. At first we went back and forth between a band and a DJ. I adored the idea of a live band, who doesn’t, but the price of the bands we actually liked were just killer. Also, Sean reminded me that sometimes, nothing compares to hearing the song in its truest form on the speakers…sung as it’s known, and how it should be presented. Glad he reminded me of that. My best friend from high school, Katie (hi Bambi!!!) asked “what can I do to help?” one afternoon as I vented to her about my stresses of balancing busy work life with real life and wedding planning life. Well, Katie-to-the-rescue went to work and found Mitch. Now, before finding Mitch I was SUPER annoyed with the classic shaky-headed radio sounding DJ’s (e.g. “Heeyyyyy KaatherINE! Heh heh. Grrrreat to hear from yaaah.” kind of voicemails in response to my DJ inquiries) who seemed to be everywhere. But Mitch was different. Mitch is down for the bottom line, never tried to sell, was incredibly honest and upfront about his costs and options (as is his detailed website) and happened to also have a great speaking voice. We couldn’t/didn’t want to afford a wedding planner for the reception, so Mitch simply stepped in as the lead (along with Marta and Jon from The Venue) to remind me when to do the bouquet toss, the cake cutting, the speeches, the first dances, the mingling moments, etc. Mitch – thank you for being everything we ever hoped for in our DJ! I highly recommend him to anyone in the NC area who is looking for a DJ. Recommendations – DJ or Band or iPod, doesn’t matter, just make sure it’s what you REALLY want, and that it fits your budget. Then, if it’s a DJ or Band…do your research. Don’t get just anyone. Does the website look good? Do they return your phone calls/emails appropriately? Are there any warning signs? Check for that kind of stuff. And of course, enlist the help of you friends for research. The more help – the better. Ashley Jones, I don’t even know where to begin to thank you for being so sensational. 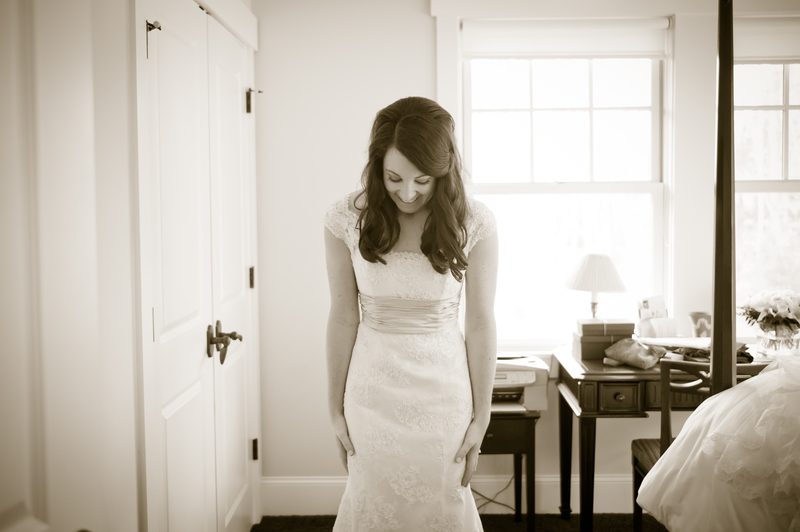 Ashley and her company, Sposa Bella Photography, are located in Greenville, South Carolina. They came recommended by another reception vendor we looked into a year ago, and they ACTUALLY passed Sean’s approval. To those of you who don’t know, Sean’s an amazing photographer. He calls himself an armature, but I think some of his recent photos beg to differ. Anywho…he was tough on our potential photographers. Not only are they expensive, but you can tell when they’re not excellent. Ashley was excellent. She understood the complex lighting, how to get our precious flower girls to look up for a hot second before getting distracted elsewhere, how to capture the few moments I had to look out the window and watch our guests arrive before the ceremony, and to hop up on a chair to document Sean busting out “the worm” on the dance floor at our reception. Need I say more? She’s spectacular. So there you have it. Some recommendations in there, hope you enjoyed. I left out a lot like…the florist, the cake, the invitation designers, the program designers, and perhaps one day I’ll get around to writing about them too. But, let’s be real, you’d probably never want to read another Newlie blog again if it meant they all were this long. Gotta stop somewhere! More to come.